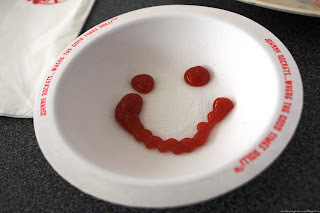 DIY for DUMMIES: Johnny Rockets: the mother of all monay burgers. 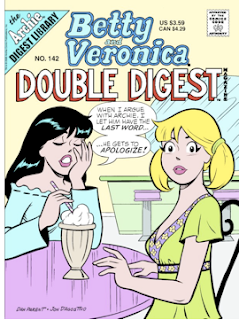 Archie comics introduced to the world of diners, jukebox and malt shakes. I remember wondering how it feels like to be in an actual diner, sipping malt shake at the counter and what's the difference as to dining in...Jollibee perhaps? 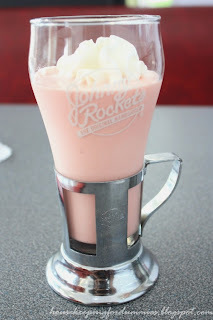 I finally hit two birds in one stone when I saw a Johnny Rockets while on our way to the mall---got inside the diner and ordered myself a malt shake! Yes, fantasy turned into a reality! Unfortunately, that was about 10 years ago and I can't remember how an actual malt shake tastes like. Even when diners like Gram's Diner and Butter Diner sprouted here in Manila, they don't have malt shakes in their menu. 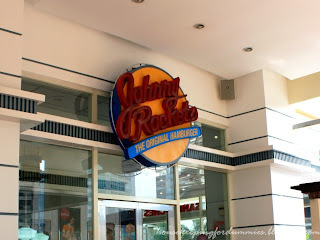 That's why I got excited when I saw the sign at Eastwood Mall that the first Philippine Johnny Rockets' branch will open there. The buzz about having a Johnny Rockets branch here received mixed reviews. Most were wishing that the franchise owner got In-N-Out instead. But I was totally positive about finally getting to taste malt shake again. One free Saturday, we decided to have brunch in Johnny Rockets. Upon scanning the menu, we noticed the high prices of the items in the menu. I saw my husband eyeing the Stacker Burger joint across as if wondering whether the burgers there cost just the same. We ordered the #12 which is one of their all-time favorites, as noted in the menu. We assumed that at PHP 335, the burger will be good enough to share. Hmmmm....I will save my comment on this later. 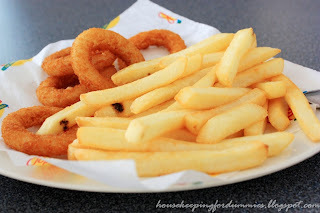 Their burgers are served with American fries or side salad, but the waitress told us that we can get a half serving of the salad and half of the fries/onion rings to go with our order. We also had a Cherry Coke and a strawberry malt milkshake to go with our burger. While waiting, we were entertained by the dancing crew of the restaurants. I find it entertaining, but cheesy. I wondered how much percentage did dancing skills get in Johnny Rocket's criteria for hiring. In keeping with the diner theme, old-fashioned Coke posters adorn the restaurant walls. I'm not sure if all the dining booths have this mini jukebox selector installed. You can choose among the song selections and play it after inserting a PHP 1 coin in the designated slot. Finally, our order arrived. We were instantly disappointed with the size of the burger in front of us. If you're paying for a burger at price almost the same as the country's set minimum wage, it is but understandable to have high expectations. The burger did not wow us in the taste factor either. "Forgettable" is one way to describe it. Suddenly, the Stackers Burger poster across appeared more enticing. The bun they use is something we can purchase from our neighborhood bakery. I christened it the "mother of all monay burgers." My husband said that the Cherry Coke tastes like Coke laced with cough syrup. I would've laughed at his comment if I was not too disappointed in our meal. Alas, the creaminess of the strawberry malt shake was not enough to make us forget the Johnny Rockets' burger shortcomings. Not that the milkshake was not good, in fact it was the best milkshake we've ever tasted in the Metro so far. But it can't just shake the disappointment out of our heads. 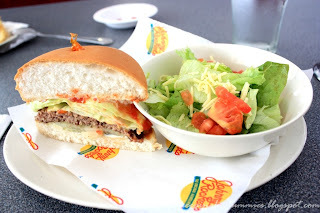 I wish that the franchise owner thought long and hard before bringing Johnny Rockets here in Manila. It doesn't follow that the success of famous U.S. dining joints like Starbucks, Mc Donalds and Burger King in the Philippines, Pinoys would patronize every Western franchise you bring here. 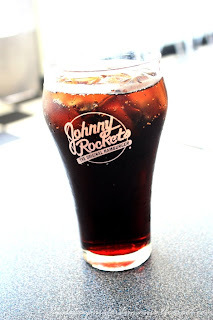 I wouldn't be surprised if Johnny Rockets would follow the paths of Jack in the Box and Carl's Jr. here who became our "once-upon-a-time" hangouts. Uy bago template, mas malinaw at maaliwalas. @Alisa: Yes it is small for its price. After about a week from eating at Johnny Rockets, we tried Stackers. We were joking how a meal for two at Stackers (drinks and fries included) is still cheaper than a meal for one at Johnny Rockets. Thanks for visiting! Will post reviews on kebabs and japanese resto next time. May pera ako pero hindi ko sasayangin sa over priced na burger ng johnny rockets. Mas masarap pa burger king dyan sa totoo lang. @Tin: oo, laki ng difference from Johnny Rockets in the US..sana nga In-N-Out na lang, nakakamiss ang fries nila (the best fries for me) hehe. @anonymous: ang dapat sa'yo yong buy one take one na burger sa kalye..ano na nga yun? basta 'yong tig bente hahaha! kala mo ha, FYI, daming pera yang sina panyero no! @batang mangyan: Agree, sana In-N-Out na lang ang dinala nila dito sa Pinas. Kaso hindi nagfa-franchise ang In-N-Out outside US according to my friend who inquired. Astig ang fries nila, kitang kita mo ang evolution mula sa buong patatas tapos mahuhulog siya from the auto-slicer sa kumukulong mantika! Yum! Shempre, hindi alam ni panyero yun kasi hindi siya well-read ahihi. @tin, have u tried Kogi Bulgogi at eastwood mall? panalo sa sarap at presyo. sayang, I thought masarap pero after looking at the pics, payat yung burger hahahaha! I think mas ok pa yung Wham Burger(i hope tama spelling). Malaki na yung bun, malaki pa yung burger busog ka talaga, like brothers burger. However, I would still go and try their malt shake. Looks yum!